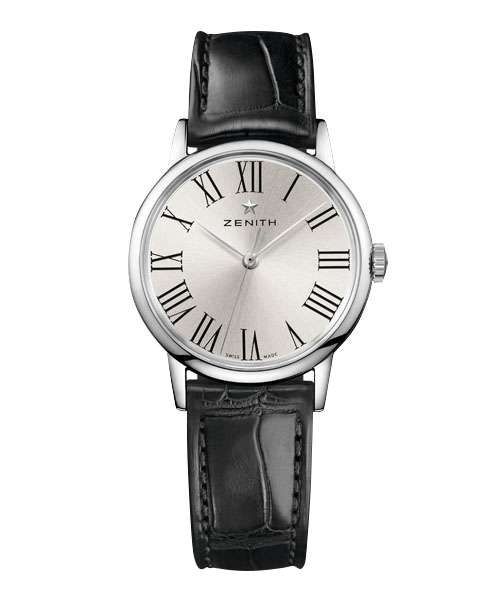 Next to the range Defy, Chronomaster and Pilot, the range Elite is one of the flagship collections of the brand Zenith. In 2016 this collection is enriched with a new colour and a new reference: 03.2272.4069 / 51.C700. 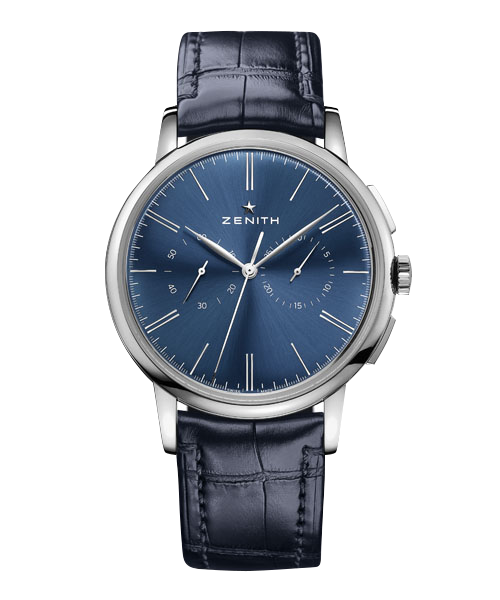 It is a dress and sophisticated model that propose us the range Elite, thanks to the blue colour that we both find on the dial and on the press button of the chronograph. This model is doted of the movement El Primero, which we can appreciate both its functioning and aesthetics thanks to the transparent background. 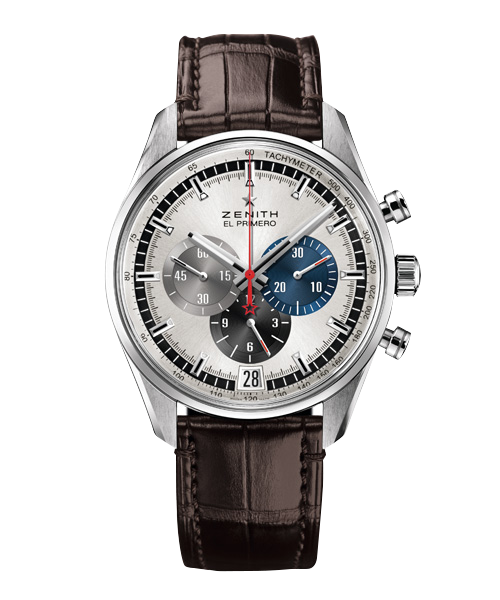 By adopting El Primero movement the range Elite enriched Zenith collections of a watch both elaborated and classic, and appears then as a central range of the brand Zenith.